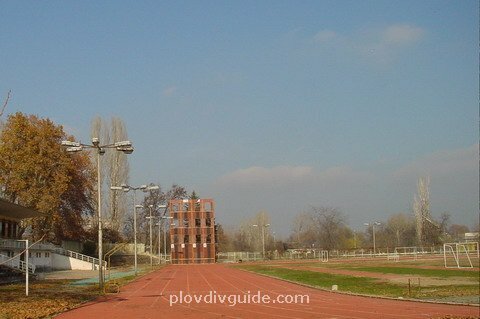 The unique Plovdiv Sports Complex is he largest of its kind in eastern Europe. 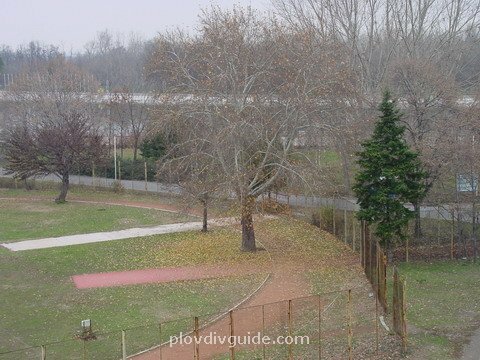 It is situated on an area of 759 decares in a picturesque park in the western part of the city. 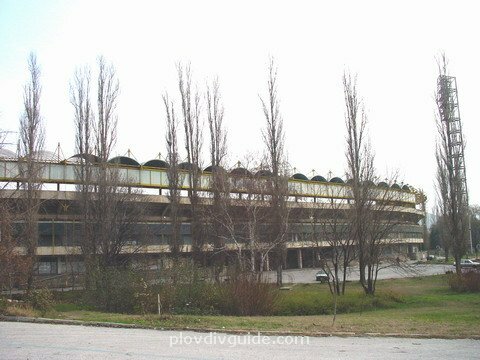 The Complex opened on September 9th, 1954, and has been continuously improved. 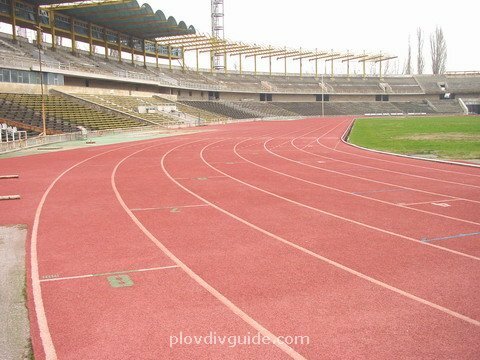 It hosted the Youth World Athletics Championship in 1990. 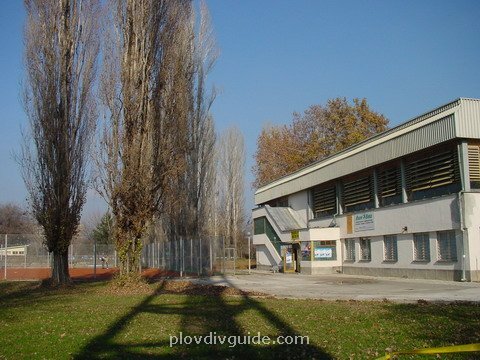 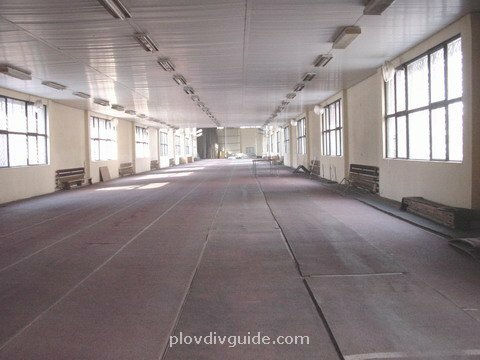 1.The Plovdiv Sports Complex The Plovdiv Sports Complex is situated on an area of 759 decares in a picturesque park in the western part of the city. 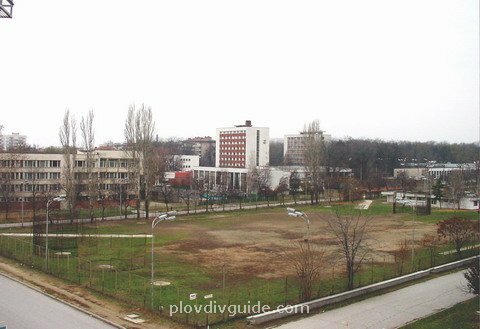 The complex opened on September 9th, 1954, and has been continuously improved. 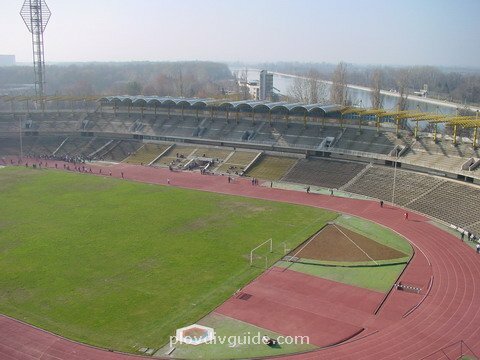 In 1990 it hosted the Youth World Athletics Championship. 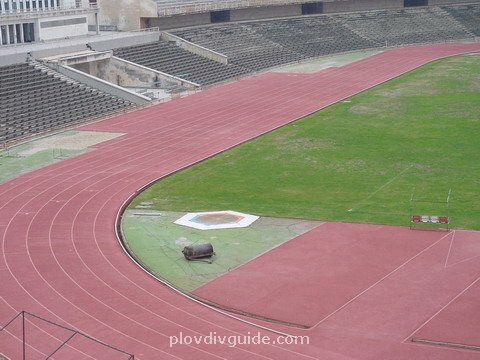 2.The Plovdiv Stadium The Plovdiv Stadium is located in the centre of the Sports Complex and can seat 50 000 people. 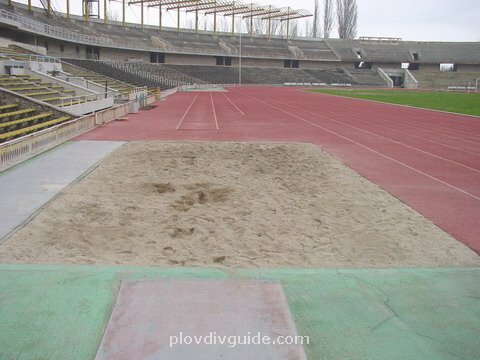 There is a perfect view towards the special track with 100 hurdles, the four sectors for long jump and hop-step-and-jump, the four sectors for pole jump, shot-put and high jump. 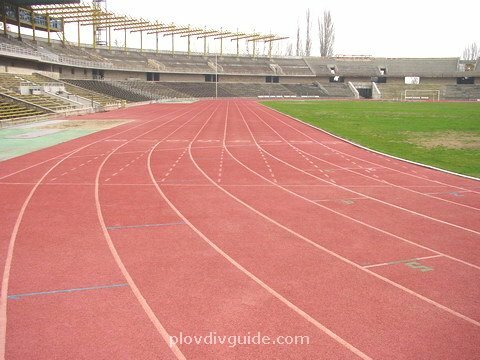 3.Athletics trackThe athletics track is covered with the high-quality Resisport covering, produced by the French company Setars, with a total area of 6596 sq.m. 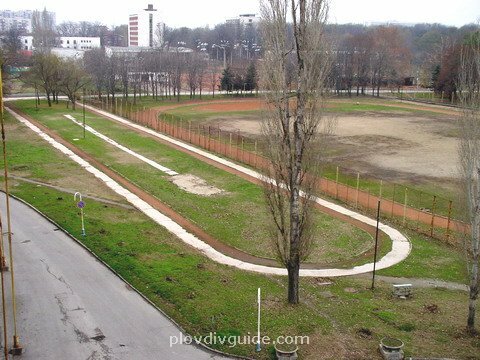 4.Javelin throwingThe complex disposes of a field specially designed for hammer-throwing, discus-throwing and javelin-throwing. 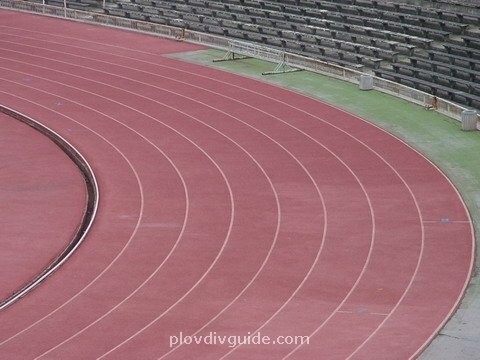 5.Discus-throwing and hammer-throwingThe discus-throwing and hammer-throwing field.